TANJAI CHEENA: At the Tanjai Cheena school in Khyber Pakhtunkhwa, students squeeze into makeshift classrooms where plastic tarps serve as walls and electricity is sparse, as a surging population overstretches the country´s fragile education system. The top-ranked public high school in Peshawar is a striking example of the challenges facing educators and students, who number 70 to a room despite the addition of a dozen new classrooms. 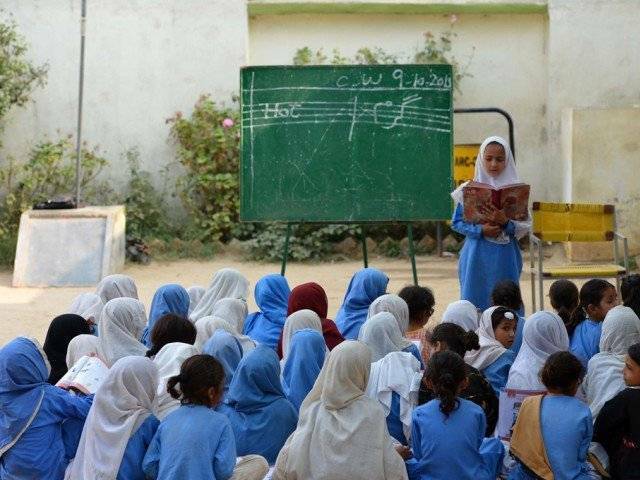 Pakistan now spends 2.2 per cent of its GDP on education, Minister of Education Shafqat Mahmood told AFP, adding that the amount was set to double in the coming years. Even more worrying, the increased funding has failed to put a dent in the province´s illiteracy rates, with only 53 percent of children above 10 years of age able to read and write.